Sixteen Chinese police officers died and another 16 were wounded in an attack on a police station in Xinjiang province in the country's northwest, officials said. Sixteen Chinese police officers died and another 16 were wounded in an attack on a police station in Xinjiang province in the country's northwest, officials said Monday. 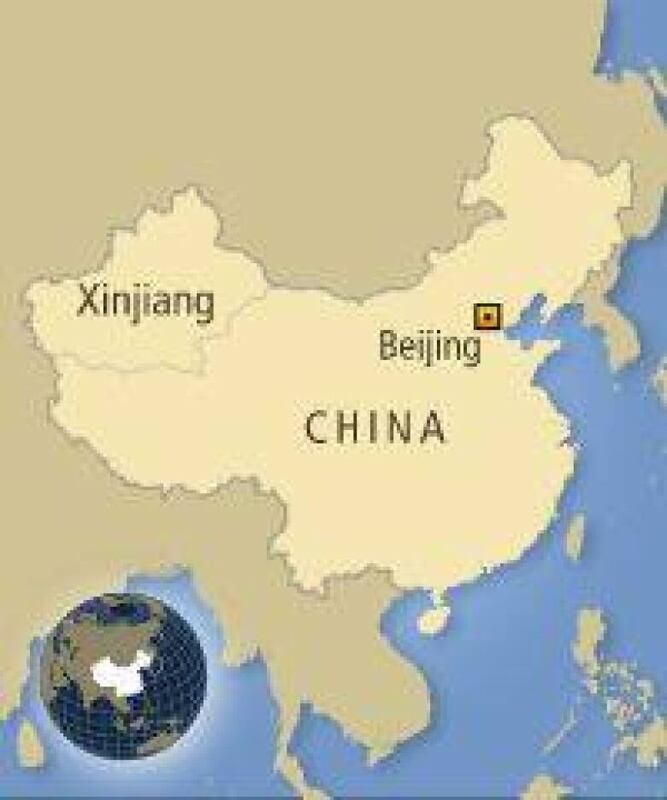 Investigators said two attackers drove a truck into a line of jogging officers, and then attacked with knives and explosives, the government news agency Xinhua reported. Xinjiang, which borders Central Asia, has a Muslim majority and there have been protests and previous incidents attributed to Muslim militants. Some of the local people, the Uighurs, have sporadically resisted Chinese rule, imposed in the 1950s. Public security officials had learned that the East Turkistan Islamic Movement planned to make an attack just before the Beijing Olympics, set to open Friday, Xinhua said. The police said the two attackers had been arrested. One was injured. Islamic militants were one of the main security issues for the Olympics, Games security chief Tian Yixiang said. Also Monday, about 20 people protested in Beijing as they were evicted from their homes to make way for an Olympics-related commercial strip to house businesses such as Nike, Starbucks and Rolex. "Developers shouldn't use the Olympics to take our homes. And we cannot stop protecting our rights because of the Olympics," protester Ma Xiulan told AP Television News. The protesters were pushed away from the area by members of a neighbourhood committee. Such committees are unofficial groups that work with government forces and the police against dissidents or demonstrators.